Generic Geodon is an oral medication based on ziprasidone hydrochloride, which is an atypical antipsychotic approved for the treatment of schizophrenia and bipolar disorder. In addition, its off-label uses include treatment of depression, mood disorders, aggression, anxiety, dementia, ADHD, autism, PTSD and obsessive-compulsive disorder. The active ingredient of Generic Geodon is ziprasidone hydrochloride. Its exact mechanism of action is not completely clear but it is certain that, like other antipsychotics, it blocks the communication between certain nerves in the brain. It blocks the receptors of certain neurotransmitters, more specifically the serotonin and dopamine receptors. In addition, like some antidepressants, it prevents the re-uptake of serotonin and norepinephrine. Some of the features that distinguish Generic Geodon from other antipsychotics are that it does not promote weight gain and its use is not associated with high cholesterol levels. Generic Geodon should be kept in a dark, dry place, at room temperature, away from the reach of children and pets. Generic Geodon 40 mg is an oral medication, in form of pills taken by mouth with some water. It is recommended to take it with or immediately after meals, because taking it on an empty stomach may reduce its effectiveness. The usual starting dosage of Generic Geodon is 20 mg twice a day. This initial dosage may be increased to 40 mg or 80 mg twice a day. Dosage adjustments should be done at intervals of no less than 48 hours. Never take more than the recommended amount of Generic Geodon, or you will be at risk of an overdose with very serious effects. Symptoms of an overdose may include severe headache, tremor, slurred speech and irregular heartbeat. If you accidentally miss a dose of Generic Geodon, take the medication when you can, but not if the time for the next scheduled dose is soon. Never double the dose to make up for the one you missed. Notify your doctor if you are suffering from heart problems, diabetes, Alzheimer’s disease, liver disease, obesity, swallowing problems, aspiration pneumonia and low white blood cell count. This medication may increase the risk of QT prolongation in people suffering from certain heart conditions or taking certain medications. Generic Geodon may increase your blood sugar levels, which is why it is recommended to monitor them regularly. This drug may interact with other drugs, such as drugs that affect the heart rhythm, antimuscarinics, dopamine agonists, drugs for hypertension, some antibiotics and drugs that affect liver enzymes. Generic Geodon may cause headache, nausea, vomiting, dizziness, sleepiness, runny nose and cough. More serious side effects may include severe dizziness, mental or mood changes, tremors, vision problems, restlessness, muscle spasms or stiffness, needles and pins, difficulty swallowing and walking. In rare cases this drug may cause tardive dyskinesia and serotonin syndrome. The effectiveness of ziprasidone in treatment of schizophrenia has been established through clinical and maintenance trials. One of its major benefits is that it does not cause weight gain and high cholesterol, but on the other hand, compared to other antipsychotics, it does come with somewhat higher risk of QT prolongation. Generic Geodon should be used with caution in elderly people suffering from dementia. It should not be used in case of previous allergic reactions to any of its components. This drug should be used in pregnancy only when absolutely needed. 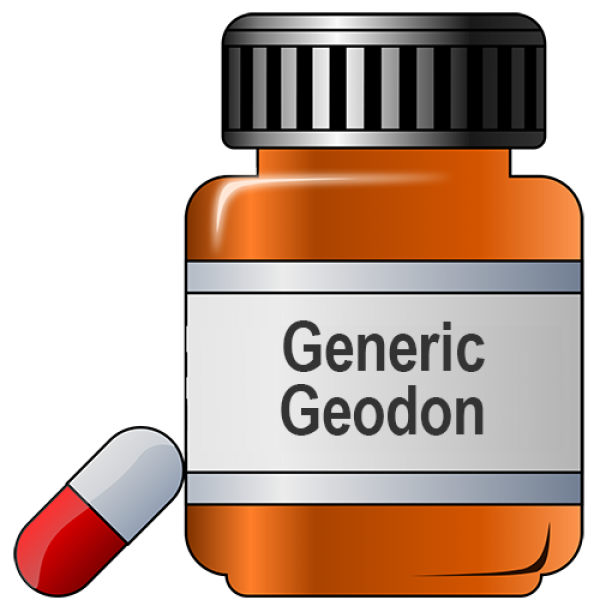 Take Generic Geodon for as long as indicated by your doctor. Do not stop using it on your own, since its discontinuation needs to be done carefully, under professional supervision.